World champion Jorge Linares has promised to “shut up” pound-for-pound ace Vasyl Lomachenko when they meet this Saturday night. Taking place at the iconic Madison Square Garden in New York, 32-year-old Linares will be putting his WBA and Ring Magazine lightweight world titles on the line when he faces the superstar Ukrainian, live and exclusive on BoxNation. The showdown has had fans licking their lips since it was first made and now both men are finally set meet this weekend, with Venezuelan hotshot Linares promising to silence Lomachenko in a not to be forgotten clash. “I’m going to shut him up, plain and simple. I know I have my advantages. I’m the natural lightweight here – he’s coming up. He needs to be ready. I’m going to shut him up. This fight is going to be very interesting. We have to put on a great performance for the fans,” said Linares. “He knows what he’s in for. He knows that I’m not an ordinary fighter. He knows that I’m bigger, that I’m faster and he has tried to prepare for that. I know what I have to do too. We both have to be at our best. “I’m not just an ordinary fighter like he’s fought in some cases, where they don’t know how to get out of trouble or use their hand speed or combinations. I know what I have to do to win. It will be a very memorable night,” he said. Lomachenko is regarded by many as boxing’s very best and a win for Linares would be the icing on the cake following a hard-fought 47 fight career, which has had its ups and downs. “I went through some tough times, back-to-back losses, a lot of people wrote me off. But hard work and dedication got me back in there. I suffered a lot but was able to get myself up,” said Linares. “The motivation of fighting the best gets me up in the morning, not only Lomachenko, but that is really motivating me because I’m fighting the best pound-for-pounder in boxing and I want to continue fighting the best,” he said. “I don’t think about stopping Linares and forcing him to quit. I don’t worry about that or need to do that. I do everything to win the fight and it doesn’t bother me how I win as long as I do win. It doesn’t bother me if I stop him, if he quits or if it’s a judges’ decision – I just want to win,” said Lomachenko. “Everybody has a chance when they get in the ring but I don’t like the way Linares has been talking ahead of the fight. I’m not scared of anyone and will fight anybody,” he said. Irish sensation Michael Conlan will also be on the card as he looks to keep on winning in just the seventh fight of his career when he takes on Spaniard Ibon Larrinaga. Lomachenko v Linares will be live and exclusive on BoxNation from Saturday midnight. Sky Customer Free Registration Offer: BoxNation subscription is £12 per month with free registration (normally £8) for Sky TV subscribers using offer code: CHAMPIONS. Pound-for-pound ace Vasyl Lomachenko says he accepted the challenge to face lightweight king Jorge Linares in “less than two seconds”. Former two-weight world champion Lomachenko will take on WBA and Ring Magazine lightweight world champion Linares in one of boxing’s most eagerly anticipated clashes of the year this Saturday night, live and exclusive on BoxNation. Taking place at the iconic Madison Square Garden, the 30-year-old Ukrainian will be moving up to lightweight and says the decision to take on the much respected Linares came very easy for him. “I wanted to go up to the next weight category, 135 pounds, and fight only champions. Jorge Linares was available for this moment. That’s why I wanted a fight with him. I was asked if I wanted to fight Linares. It took me less than two seconds to accept the challenge,” said Lomachenko. “For me, it’s a big challenge because before this fight, I fought against guys who were the same size or a little bit smaller than me. Now, I want to feel the way [Guillermo] Rigondeaux felt when he fought me. “He was smaller than I at that point. I am going to be smaller than my opponents now. I want to show people it’s not a big problem, that five pounds is not too big of a difference,” he said. Following a glittering amateur career, winning two consecutive Olympic gold medals along the way, Lomachenko will now be looking to become a three-weight world champion this weekend. Despite having only 11 fights as a professional his superior talent has shone through, often forcing his big-talking opponents to quit on their stools. 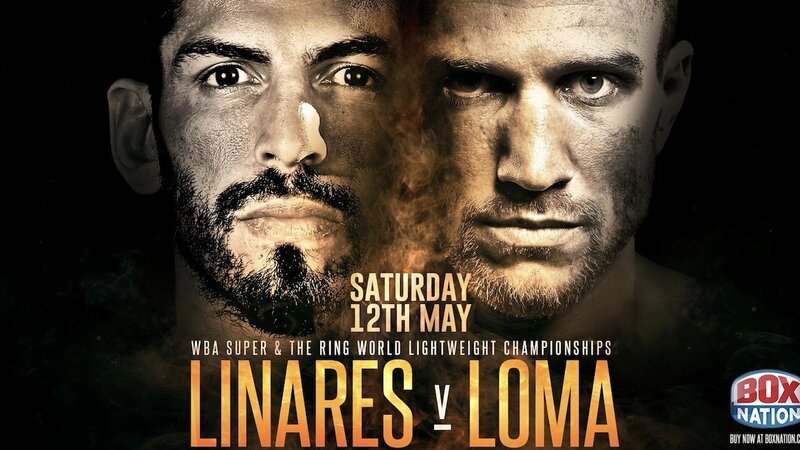 The experienced Linares, who has a record of 44 wins with 27 KOs and just 3 defeats, has also tried to get under his opponents skin, with Lomachenko calling on him to show up at the press conference following the fight, as looks to continue building his legacy. “I like it [his trash talking]. Before the fight, all boxers talk trash, but after the fight, nobody comes to the press conference. After this fight, I want to see Jorge Linares at the press conference, and I want to hear what he has to say,” Lomachenko said. “This fight is the next step in my boxing history. We’re talking about my career. I built a ladder, and when I finish my boxing career, I want my ladder to be very strong and long,” he said.